Hello friends! 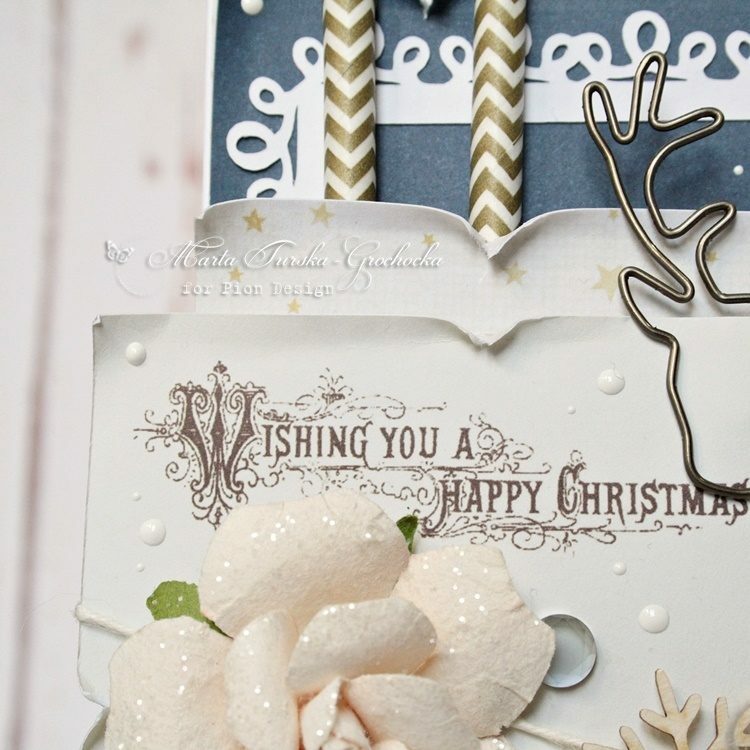 Today I have for you my Christmas card with some fun embellishments. I’ve used some golden paper straws and metal elements. 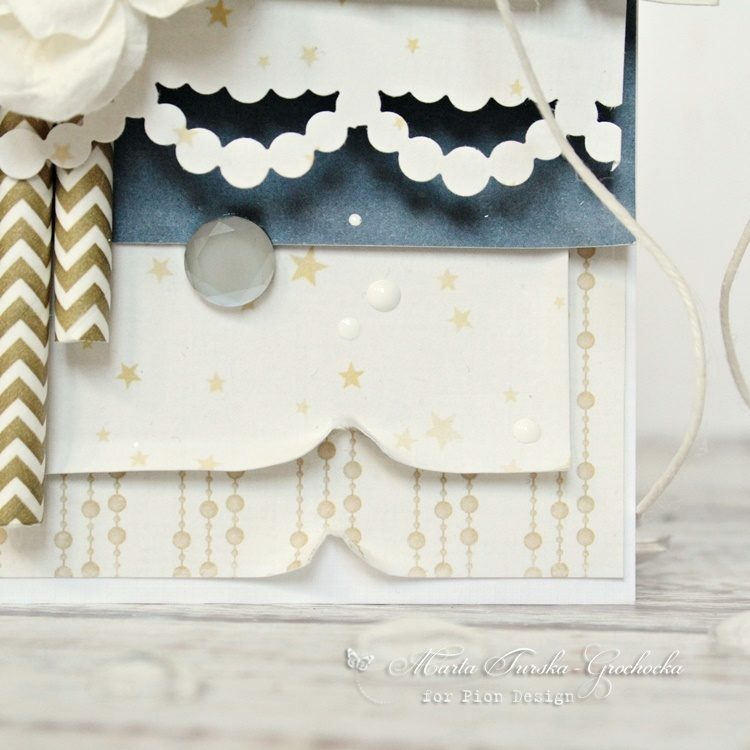 I’ve build paper layers using the newest paper collection by Pion Design – Long ago in Bethlehem. 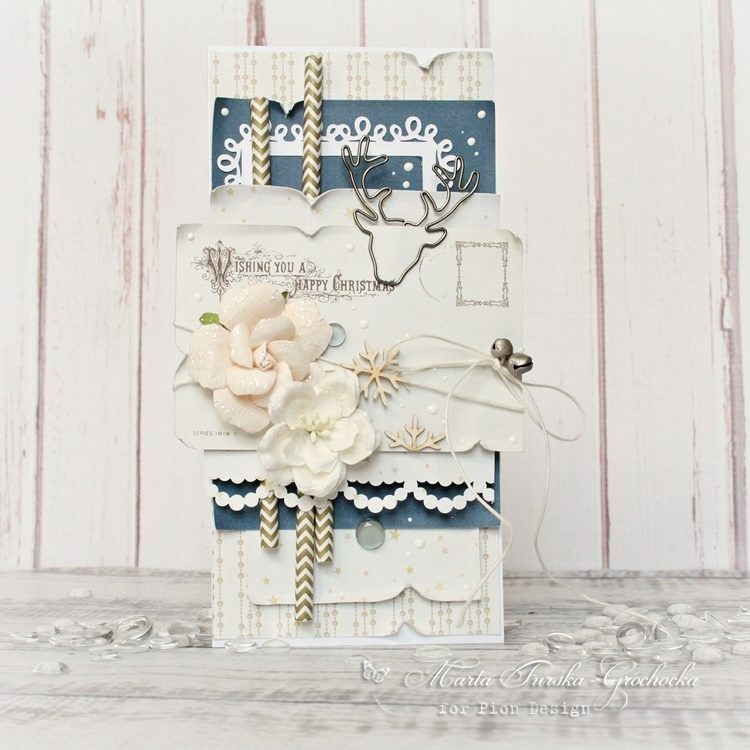 There are some cool paper elements on Tags sheet, that can help you to build paper layers. I’ve used old postcard’s graphic.